Close watchers of the Sunderland Netflix documentary would have struggled to spot Jack Rodwell in the first few episodes. Not only was the ex-England international not playing, he didn’t appear to be training, or appear in person at all. By the time Chris Coleman arrived, continuing to marshall a losing team, and looking for excuses; Rodwell was cast as pantomime villain. The facts, we were led to believe, were that he was refusing to play and refusing to leave. He was everything that was wrong with football. Prepared to sacrifice his career for the short term riches that the lottery winning loot of a Premier League salary has offered up. There might be a truth in that, and if I was a Sunderland supporter, as many good friends are, I wouldn’t be happy that a player of his stature was unused while they dropped two divisions. A far more visible presence on Netflix was the hapless Sunderland chief executive Martin Bain, for whom any sympathy was tempered by the fact that, like David Brent, he welcomed the cameras into his “behind the scenes” world. I’m going to cast an unpopular opinion in here; I’m as uncomfortable with the new exaltation of the senior management team at Rovers, and I winced at Tony Mowbray appearing without irony on a team picture of the “backroom team” tucked in behind Steve Waggott, the Bain of my club. To be fair, I respect these guys have a vital job to do. 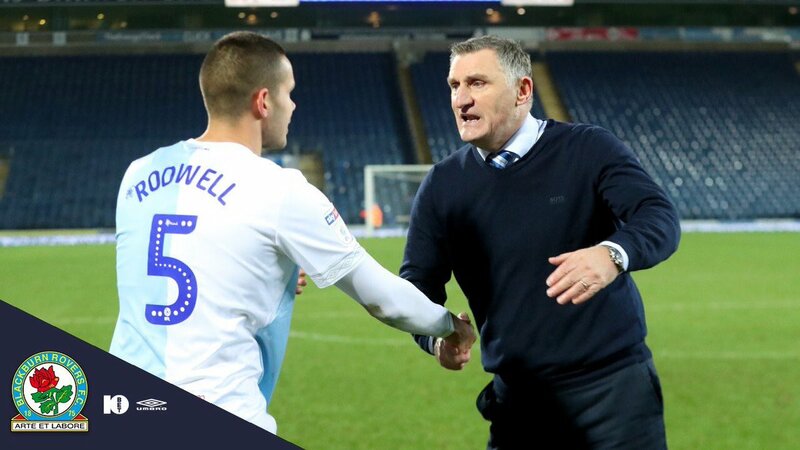 And I’ll be honest, when Rodwell signed for Blackburn Rovers I wasn’t doing cartwheels at the prospect, given the collective failure of previous regimes. We’ve been had over by these types of footballer before. One of them now plies his trade on the Match of the Day sofa, ruling his moralistic eye over the footballing world, set up for life with the unearned income from a club in crisis. Obviously I don’t mean Alan Shearer. In the last month we’ve seen the difference between Danny Murphy and Jack Rodwell. Rodwell has been towering in his appearances for us, and especially so against a dreadful Ipswich side yesterday. I’d suggest the motivation and management of a player of his obvious natural ability has been instrumental to his transformation. I have no idea how much he is paid, or what bonus structure he is on. I believe he’s on a year long contract. We get a glimpse of Mowbray’s management style when he speaks to the press and how he behaves on the sidelines. But what we see in Rodwell’s performances in central defence is of a manager who has found a purpose for a player who has physically changed since he made his mark for Everton as a creative midfielder. Not only that, Rodwell looks hungry and determined. I love a centre half who is comfortable on the ball. Charlie Mulgrew has that, Rodwell too, and it’s a part of Darragh Lenihan’s game that is improving as he plays alongside either of these two. For the first time this season yesterday, I sat through a match never in any doubt that Rovers would win comfortably. Paul Lambert’s Ipswich were a ragbag of journeymen artisans and broken men. Much like Paul Lambert’s Blackburn Rovers, to be fair. Every single Rovers player won his personal battles around the pitch, the one possible exception being James Collins putting a shift in at the back and matching Danny Graham in his weekly game of grapple. It should have been 5 or 6, frankly. I over-confidently predicted that we’d finish 8th at the beginning of the season. To do that would involve getting beat a few times and suffering bad runs as well as enjoying good ones. That’s happened and will continue to do so. What is more, when we win it will be because good players like Rodwell, like Bradley Dack, like Lewis Travis, put in great performances, inevitably attracting the attention of bigger clubs. It’s a good position to be in, maybe not dramatic enough for a Netflix series, but it’ll do me.